AFTERPAY Holdings Ltd (ASX: AFY) has entered into an agreement with New Zealand trading site Trade Me Group Ltd (ASX: TME) to bring the 'buy-now-pay-later' service to New Zealanders. The agreement is the first international deal for Afterpay which has focused primarily on Australian businesses in its first few years of operation. The deal will make Afterpay the exclusive 'pay-later' option offered on Trade Me's marketplace and will provide the company with a large channel to on-board both New Zealand customers and retailers. Trade Me is one of the most influential brands in New Zealand, operating similarly to how Gumtree operates in Australia, and it has the largest online retail market share in the country. Afterpay Chief Executive Officer Nick Molnar (pictured top left) says the Trade Me agreement represents the logical first-step of an international expansion strategy. "It was very important for Afterpay to find a partner who was equally passionate about providing an unashamedly customer-centric product and from the outset Trade Me clearly understood our retail approach," says Molnar. "We feel extremely privileged to be able to partner with such a household name in the New Zealand market." 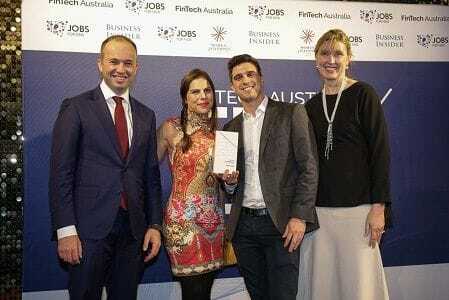 Founded in 2014, Afterpay is a leading Australian retail payments innovator that facilitates commerce between retail merchants and their customers. Afterpay offers a 'buy now, receive now, pay later' service that does not require customers to enter into a traditional loan or pay any upfront fees or interest to Afterpay. The service has over 650,000 customers and more than 4,300 retail merchants. Trade Me Head of Marketplace Stuart McLean says the service will help sellers and increase the purchasing power for buyers. "Many of Afterpay's merchants in Australia have reported their customers are buying more, and they're gaining customers who might have otherwise clicked away," says McLean. "We think our sellers will see the value of this payment option." "Offering Afterpay on listings is totally optional and there is a small fee to sellers, but from what we've seen in Australia it helps drive sales by giving buyers a convenient and flexible way to pay." Afterpay will be available on Trade Me later this year while the Company works with retailers to bring them on board with the concept. "For now, we'll be working with our sellers to show them how Afterpay works and getting it up and running on their listings," says McLean. "We're also making sure Afterpay and Trade Me are integrated to ensure there's a seamless user experience." "This takes a little bit of time but we can't wait to get started."